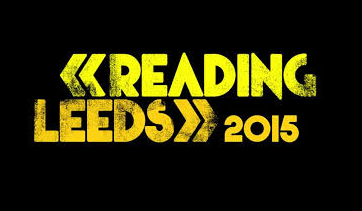 TV coverage of this year's Reading and Leeds festival has been moved to BBC Four and BBC Red Button ahead of the closure of BBC Three TV early next year. The controversial move will see all headline acts shown on BBC Four instead of their previous home BBC Three, despite the channel not having been closed yet. Other coverage will appear on the BBC Red Button and on the BBC iPlayer - this year's official broadcast partner of the festival. As in previous years, BBC coverage is based at the Reading site. The change in coverage means they'll be less available in HD on regular TV platforms: BBC Four HD is not available in all areas on Freeview HD, and the Red Button service on Freeview, YouView, Sky, Freesat, and Virgin Media is only in standard definition. It's a far cry from two years ago when coverage was on the temporary BBC Red Button HD service and a year ago when coverage was universally available on BBC Three HD. Higher quality coverage may be available online via connected TV services, PCs*, mobiles and tablets, but this is mostly subject to the speed of your internet connection thanks to the BBC's adaptive bitrate streaming on iPlayer, although a516digital has seen the service delivering sub-SD full-screen images at times on an otherwise unused fibre-based broadband connection in a recent test, indicating your connection speed isn't the only factor, so there's no guarantee of the same image quality as regular broadcast HD. BBC Three meanwhile will be broadcasting repeats. It's part of the BBC's move to redirect viewers to other BBC outlets ahead of the closure of the BBC Three broadcast channel, although the BBC is still waiting for the BBC Trust to give its final verdict at the end of the current second public consultation period. Critics say moves such as this confirm that the current consultation is a waste of time and that the BBC is just going through the obligatory motions ahead of the changes. The BBC has been relunctant to say what will happen to coverage of music festivals such as Glastonbury and to the live Eurovision semi-finals once BBC Three TV closes. *iPlayer is currently not supported on Windows 10. All of BBC4's coverage begins no earlier than 10.30pm, compared to it dominating primetime on BBC3 in previous years. Shows how they intend to treat the people neglected by axing BBC3 in the future, and actually highlights how BBC3 serves the audience in a way the commercial sector doesn't. The V Festival has been dumped by C4 and now barely gets any coverage from it's new broadcaster MTV.